There is never a shortage of online money-making scams out there, and with cryptocurrency being more popular than ever, this is a perfect chance for crooks to use this platform to fleece people. One of the most common cryptocurrency-based scams is the aircraft travel scam. These kinds of sites claim that people can use their cryptocurrency to conveniently book flight tickets, make hotel reservations, and find good deals, and then pay using Bitcoins. How convenient this is, right? However, does paying with Bitcoin even work or is it all just an elaborate scam? To find answers to those questions, it only makes sense to do an in-depth review of a cryptocurrency-based aircraft travel website. What better than the Aircraft Travel Company itself! We will talk about what it is, its features, and whether this is a scam or not. The Aircraft Company is composed of a group of specialists and companies in the tourism industry. One of the company’s goal is to unite professionals all over the globe so that the tourism industry can fully utilize all of their expertise combined with the powerful technology called Blockchain. According to them, their platform allows users to pay not only with cryptocurrencies but also with over 30 different kinds of currencies. Aircraft claims that they want to resolve several issues that you would normally find in the tourism industry. Their project is created by also making sure they resolve issues in the financial sector. These issues include overbooking, fraud, reservation errors, chargebacks, and providers who offer subpar services. The Aircraft team believes that if they create a connected system for storing, gathering, and updating the varied information all over, it will help in avoiding such issues altogether. That is for clients and the network partners. They want to ensure that every single transaction for anything will remain fair without any discrepancies for the clients. The Aircraft system’s primary mission is to make cryptocurrency more of a viable option for payment in the tourism industry. Like every other cryptocurrency site that claims that the Blockchain platform is the future, this site too wants to use this platform and change the face of tourism payments from traditional funds to cryptocurrencies. They want to be known amongst the first few companies that began this transition which they believe is a more relaxed and convenient form of payment and simultaneously bust all speculations about this type of currency. Who Is Aircraft Travel For? According to the company, this is for those folks looking for a more convenient method of buying flight tickets, booking entertainment spots, booking hotel rooms, and so on with the ability to pay all of them with the help of cryptocurrency. Let’s list what this website claims are some of its top features. According to the website, their main motive is to make bookings quick and simple with the help of cryptocurrency. They want to cut down on those long and tiresome traditional payments and simply have a one-click checkout option for such services. Furthermore, they believe that with this, they can offer customers a more secure money settlement which also guarantees successful operations. They also wish to offer a cash-back program upon every booking. This is similar to airlines miles, and people can use these to avail discounts on their reservations. The company takes great pride in the fact that they have an Aircraft mobile app. On this, you will be able to avail services such as searching and buying flight tickets, booking hotel rooms or cars for rent, finding recommendations, reading and writing reviews, as well as depositing, using, and withdrawing funds in your personal wallet and having customers utilize their cash-back programs. Along with Bitcoin, Aircraft Travels also offers other payment methods such as ZCash, Ethereum, Monero, Ripple, DASH, Bitcoin Gold, Neo, Litecoin, and Stellar Lumens. The users will be allowed to purchase these with the help of their bank cards such as MasterCard or Visa. To further boost their website, they offer their customers two types of rewards. For one, users will get a 10% bonus from the token their own referrals bought and second, a five percent bonus from the funds of their own referrals. Aircraft Travel Scam: What Seems to be the Problem? All of those sound great on paper and would do quite well even if cryptocurrency isn’t prohibited where you live, but there are some massive red flags with Aircraft Travel. Let’s shed some light on them. Upon having a conversation with the members on Telegram, we weren’t given any satisfactory answers to our questions. They constantly beat around the bush and were quite vague with their answers. They also go down to the level of saying that since they are fairly new, there could be a possibility of errors happening. Upon doing some research on these member’s profiles, we found that they were all fake. Starting from the pictures they use, which are images of random people you would find on Stock images or stolen from real model’s social media pages. This is just another identity theft. These “members” have stretched their lie to the point that they have created fake social media accounts, all at the same time. These social media accounts are evidentially fake and only talk about Aircraft Travel and nothing else. This is not the worst business model, especially since it allows different types of alternative currencies. Similarly, it comes with a mobile application. While the whole business model isn’t the worst and could have great potential, all of this comes crashing down due to the simple fact that the members of this company are faking their images and their social media presence. Also, upon having a basic conversation with them, none of them seem confident about their own business model. This leads us to believe that the possibility of this being another scam on the internet is exceptionally high. If you ask, “Is Aircraft Travel scam?“, the answer is, ‘Yes, it is definitely one that you should stay away from.” In theory, their business model and how they work would actually work out quite well in places where cryptocurrency isn’t illegal. However, faking the member’s images along with the social media presence is a giant red flag. It only goes to say that they can randomly shut shop at any point and dupe several folks of their money, so we advise you not even to give this one a try. Ponzi Scheme: Is AirBit Club a Classic Example? If you are an active visitor of our website, you very well know how much we like to talk about all the different kinds of Ponzi schemes on the internet and how you should avoid them. Today, we found yet another one, which is the AirBit Club. The AirBit Club is an expansive cryptocurrency related site which is based on an affiliate tier. The interested applicants for this program can turn into affiliates through the BitBackOffice site, and they can enroll by opting for one of the three memberships they offer. When you visit their website, you will find that it was founded with a mission in mind, which is to provide the users with a new and fantastic technology that utilizes innovative tools that can help ensure that the trading potential is fully maximized and can help increase the distributions of the Bitcoin to every affiliate. In simple words, the company’s alleged goal of their whole operation is to provide their investors with an opportunity to get more earnings through Bitcoin. When you dig a bit further into the website, this is evidently a partial business model. The only disclosed income source which is verifiable would be by those who invest their money on this platform in order to get started with it. The site claims that 50% of the Bitcoins is split amongst the club members while the other 50% is used to solidify business relationships with companies that are dedicated to growing the technology to trade cryptocurrency and to increase the power of trading. While there is some reference to the investment of the funds you do on this site, the consumer feedback reveals the opposite. It goes on to show that when the company is confronted, it refuses to provide any transparent evidence. When you choose to sign up for the AirBit Club, it offers affiliates unrewarding investment packages which fail even to have break-even returns, unless the affiliate can successfully draw in new members. As mentioned earlier, there are three membership packages on this site, and their cost varies anywhere between $250 and $1000. It is also important to note that while the site mentions that they accept USD, in reality, it can only accept Bitcoins through their platform. Executive Plan: This requires a minimum deposit of $250 in BTC with a 200 level supported volume. The duration of membership is two cycles of 75 business days, and there is one renewal fee. Corporate Plan: The minimum deposit required is at $500 in BTC with a 400 level supported volume. The duration of membership is three cycles of 75 business days, and there are two renewal fees. Pro Plan: A minimum deposit of $1000 in BTC with a 900 level supported volume is required for this plan. The duration of membership is four cycles of 75 business days, and there are three renewal fees. Upon researching the site further for the compensation plan, we found that they offer the affiliates a daily return ranging anywhere between 0.2% and 1.2% of the amount they invested. Of course, it is simple enough to guess that these daily returns are not even remotely close enough to break even with the first investment. That is why the affiliates are encouraged to find new and different sources of traffic in order to earn a commission. Upon further digging in about the site, they claim to employ a matrix based commission tier. That’s just fancy talk for yet another pyramid scheme when you break it down. The number of levels supported through the site’s commission tier is dictated by the investment package the affiliate opts for. The executive plan can support about three levels, corporate supports about seven levels and the pro package supports all the 18 levels. There is also something called the Retirement Plan that the affiliates can opt for through the platform. There is not much information that is disclosed regarding this plan until you opt to invest on this site. All we know is that there is an additional fee between $150 and $300 that the affiliate needs to shell out. By now, even you have a laundry list of questions that you can’t find answers to and some obvious red flags. For starters, taking half of the initial investment of every new member and disbursing them to the previously established members is Ponzi Scheme 101. For the other 50% of the investment from the new members, the company claims to invest it to smooth over connections with several other cryptocurrency companies. However, we are pretty sure that’s not true. There is an obvious lack of transparency with regards to these funds, so it is safe to assume that the website’s creators are keeping all of these deposits for themselves. While on paper the AirBit Club’s binary matrix compensation plan sounds all great, let’s face it: this is a living and breathing embodiment of nothing more than a classic pyramid scheme. To make matters worse, even if you try to find any relevant information about the operators, creators, or the corporate entity that is responsible for AirBit Club, you are going to find nothing which makes this whole operation entirely anonymous. No money-back guarantee: Even assuming this worked, it’s close to impossible to make your money back without finding other sources of generating income, which is getting more people on board on this pyramid scheme. This is an almost impossible feat and ultimately your money will go wasted. Furthermore, there are way too many obvious red flags such as no clarity where the investment goes and who are the creators of this site. The AirBit Club is nothing more than a pyramid scheme and a Ponzi scheme hybrid. There are just countless red flags with this site. There is no clarity with the money invested in it, and there is some form or another of financial discrepancy with it. Lastly, operating with total anonymity is yet another massive red flag. We advise you to avoid this investment altogether as it is unstable and has no future. When it comes to making money online, most of us are well aware of how many different ways you can find one online. But let’s face it: only a handful of them can seriously help make you money. So, it’s time to put on our detective hats again and find everything about Abeona Coin Pre Sales Scam to see whether there is some possibility of making money out of it or none at all. Abeona is a cryptocurrency, which is Adiona blockchain platform’s settlement unit. This platform includes a decentralized system for buying tickets and booking hotels, and claims to help business owners make more revenue and for customers to have lesser expenses than usual. This is an ERC20 token which gets released on the Ethereum platform. The company claims that at present, there are about two billion tokens issued and distributed, and after any token sale event, the unallocated token or the remaining unsold token get removed from the system, and no more are generated. This provides the Abeona Coin a “simple and stable” platform to work on, and the money collected gets evenly distributed across the system to maintain it. To be specific, 38%, which is the most significant part of it, gets allocated to the engineering and design, while 31% goes towards equipment and service so that the system stays sound and perfect. On the other hand, 22% of it is taken up by platform integration to provide adequate support to ensure that everything on this platform works appropriately and smoothly. The remaining nine percent then gets used up for development and expansion which oversees the efforts to improve and expand this service and offers. According to the company, their decentralized exchange system offers enhanced security and flexibility which makes them a secure kind of cryptocurrency. Even though it can be used for the several other things we mentioned, it works best when it is used for travel. The company claims that the cryptocurrency platform provides versatility and security when users visit other countries. So, even insufficient funds and/or a lost wallet will not stop anyone from purchasing things. The percentage used for the maintenance and the continued development gets frozen until the coins have stabilized and can obtain a value of a dollar or higher inside a six-month time frame. To keep this system in order, the coins that are reserved will get used. However, those will not get sold on the stock market. These can be purchased outside of the exchange transactions by the individual investors. The pre-sale stage also offers more benefits for users looking to take advantage of the cryptocurrency. We’re sure by now even you aren’t convinced with this website and its promise. We can assure you that this site is nothing more than a big scam. Let’s break down in detail why this is such a scam and how you should run miles away from it. One of the biggest warning signs of this site is the ICO team. When you head on to their website, you will notice that there are five people in the core team. Out of these five, only the CEO has relevant social media accounts. What makes it worse is that their Communications and Content Creator Consult’s, a.k.a. Alice Bassi’s, picture was changed to the point that Alice Bassi is a whole different woman now! This most likely happened because the previous “Alice Bassi’s” picture was taken from Google Image search and was easy to spot on another site. With the current picture they are using, they have removed the background to make it harder for people to know whether it is authentic or not. Reality: It is not. To take this scam up a notch, they did fake another core member. When you read the description for Pierre Martin, who is their blockchain engineer, it states that this man has filed a patent with the USPTO for the ICO’s encryption technology. However, when checked with the USPTO whether Pierre Martin ever created any such patent, we didn’t find anything. What we found were patents that were related to magnets, drilling, and rods. To make matters worse, when you do try to find the social media accounts for these “core members”, you will notice that all of these accounts were opened about the same time, which is from September to November of 2017. All of the content ever posted on their accounts were only related to cryptocurrency and everything about the site, and absolutely nothing else. This evidently is quite suspicious. Another warning sign is the countdown clock. Despite the fact that public sale was going to start a while back, the countdown clock will still show that the time is up, but the status above the clock still shows that the site is in the pre-sale period. Everything about this site is fake: Starting right from the members who have apparently created this site. The creator has stolen people’s pictures and created a whole fake team with a fake social media presence. Whether this site even works or not, it is safe to say that nothing about it is genuine and it is best to invest your money in a safer place. Yes, Abeona Coin Pre Sales Scam is definitely one and is something you should steer clear from. The whole site is based on a lie, so whether or not this site even works is not a question you need to have answered. Our advice: stay away from it and warn others to do the same too. Now, before we dive into the world of mobile rewards and points, we must first understand how this scheme works. Reward apps are applications where you get to incur reward points, which you can then use to shop in a specific store or as cash. Some apps will require you to do simple tasks, while others reward you for simply buying something. One such application is AppNana, which we are going to review today in hopes to find out whether it is actually a legit app or not. Want to get rewards from doing simple things? Do you want to get a bit of credit out of your purchases? Well, then, keep on reading! AppNana is a type of mobile application that will reward you in exchange for doing simple tasks. These tasks may include liking something, posting a comment, downloading another app, completing a survey, purchasing something, or referring a friend. Now, don’t get us wrong: you do not get money per se, but you earn points that correspond to a certain gift card. Its biggest selling point is that they offer Amazon gift cards. However, the catch is that you have to earn at least 30,000 nana points first. Obviously, the first thing you need to do is to download the app and sign up using an existing social media account or email. You can then put in the referral code of the person who referred you to the app. It is best to use a referral code because by doing so, you get an instant 2500 nana points as a sign-up bonus. After that, you can browse the Homepage of the app for a list of applications you can download in order to earn points. Some of the apps are equivalent to 1,000 to 6,000 nana points, but they do have different requirements. There are also games that are available, and you get reward points once you reach a certain level. Also, you do not need to apply for the points; they are automatically credited to your account upon completion of the task. AppNana is actually for everyone who has enough time to spare. If you are a fan of games, then you might enjoy this app. Not only do you get to play, but you also get rewarded for it. On the other hand, this is not for people who are expecting to have a lot of gift cards. Frankly, it is hard to accumulate large points, so just expect to get a gift card that has little worth. It is not that bad for a passive earning. All you need is a smartphone. Obviously, you cannot download this app if you do not have an operating system in your phone that will allow you to download mobile software applications. Yes, you can file a ticket. However, these tickets are not unlimited. Do take note that they can be replenished by completing other tasks. As for the efficiency of the replies, they do tend to reply fast, and they can solve your queries. Most problems arise from the discrepancy of credits, but they always seem to get back the credits they lose. So there are really no problems regarding some lost points. Some credit-giving apps have lame external apps, but with Appnana, you get to download an app that is enjoyable and is in line with your interests. Using your existing social media account, such as your Facebook, you can easily create an account on this app. If you do sign up with your email, you only need to provide a few information. It is free to use and also has no in-app purchases. You get to cash-in by referring the app to your friends. Actually, the corresponding points are also huge. At the same time, the person you referred will get automatic points from your code. It is a win-win situation. You do not have to apply for credit of your points. The app itself can detect if you completed a task. You are not really learning anything. This is not in line with how the app works, but for people who also want to get something valuable out of the app. It will take a long time before you earn enough points to avail of the lowest gift card. Although they are good at keeping tabs on your points, there will still be times when the credits do not show. You do not have to worry because they have an efficient ticket filing process, but still, it would have been better if they can always credit the points. Since the use of the code garners a lot of points, people tend to use their codes just to earn points, which will then lead people who are uninterested to uninstall the app eventually. They use the code as bait just to earn rewards and not benefit the one they have given or shared their code to. The answer to the question, “A Quick Review On What is Appnana About: Should I Use This App?” is that it depends. We already mentioned that you do not get to earn a lot from it, so you really have to be into the simple tasks they require you to do in order to enjoy using the app. At the same time, you really should not abuse the referral code just to earn points. You will look like a sell-out, and people might get annoyed that you are baiting them into downloading something they do not like. Enjoy the app and reap the small rewards! 7 Figure Franchise: Will It Help You Earn Seven Figures? Is 7 Figure Franchising a Scam? Is it really works? The 7 Figure Franchise is booming these days. You do not only get to see their advertisements, but a lot of people are also recommending them. So, what is this fuss all about really? Surely, the name of the site itself attracts attention. Accordingly, one will think that when they join, they can easily earn seven figures. Is it true, though? Or is it just another elaborate scam? We all have heard this before that when a site promises huge amounts of money, it is usually a scam. If that’s the case, then why are a lot of people raving about this specific site? This is what we are going to find out today. Are you looking for a unique strategy to earn money? Then keep on reading because this site might just be for you! The 7 Figure Franchise is the brainchild of Michael Cheney. Now, his name might sound familiar to you because he is. This person has a lot of websites that give people the opportunity to earn money by following a unique sales funnel. Basically, if you join this site, you get to be a franchise or an affiliate. It is not really clear if it is offering a franchise or an affiliate program, but the idea is that you buy something, sell them, then earn a profit from it. Their promise is that you will earn $1.1M in just a matter if 12 months. The catch, however, is that you have to pay or avail their installment plan first, which is actually just two gives. If you go all out, all you have to pay is $1997, but when you go the other route, you will need to pay $2200. When people buy high-ticket products that stemmed from your turnkey promotion, you automatically get this commission. This gives you access to a collection of digital products that will help with your sales. You are automatically an affiliate, which allows you to get commissions. You get to join exclusive events wherein you will listen to Michael talk about the secrets of having a multi-million dollar business. This grants you access to a variety of products that you can sell on your own platform. Once you join the program, it promises to help you gain massive traffic. Lastly, you also have the opportunity to have a one-on-one session with Michael Cheney for 30 days. There is, however, a charge for this amounting to $1000 per hour. The 7 Figure Franchise is best for people who want to devote time and money on building a successful sales funnel. The strategy, in a way, can provide its promises, but not without hard work. Accordingly, it is best for people who already have a defined list of prospects who actually engage in that sales funnel. For people who are looking to start their online business, this is not for you. This site is too high-scale, and the money you initially pay may not easily earn revenue. Aside from that, there are certain features on the website that needs to be unlocked with more payments. So, if you really want to be a part of this, be prepared to pay. Are There Tools and Training? The suggested tools are provided for you with direct download links. However, it is still up to you if you are going to make use of these tools. On the other hand, for training, there are options for that from time to time. Similar to other options though, you also have to shell out money to gain access to those. Surely, a multi-million dollar business does not come from luck; it comes from the pockets of the members. The training, however, can be rather enriching. Thus, if you do have the money to get them or to even chat with Michael, it is worth every penny. You can reach customer service with the use of their email, but the reply is not instant. The absence of a stable community does not help this case. Some members created their own Facebook groups, but most of them are inactive. 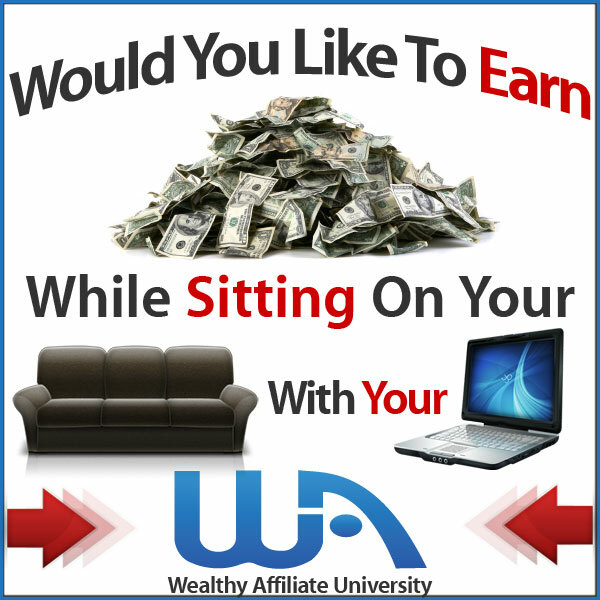 Through this site, you are given the chances to gain active and passive income. The site rewards certain activities, which are immediately credited to your Paypal. When it comes to your commission, there are no hidden fees. When you sell, you directly earn from it. The digital products of the site are really good and helpful, so you are able to sell high-quality products. The strategy is mostly the same with other sister sites. The only difference is that you pay more and waste more on this site. To be honest, the promise of having a seven-figure revenue is not as easy as it sounds, compared to how this site advertises it. It is still a site that needs you to upsell something in order to earn. In a way, you will arrive at seven figures if you do well, and just as long you are willing to shell out money. All in all, we think that Click 4 Surveys is not worth its high-membership fee.